"The cocktail is as refreshing as its name. 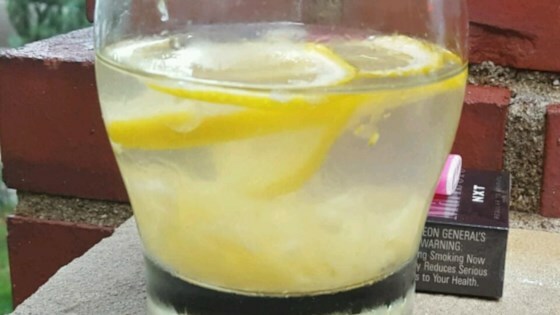 The sea breeze cocktail is a refreshing blend of vodka, cranberry juice, and grapefruit juice. Plant your beach umbrella and enjoy this simple drink." 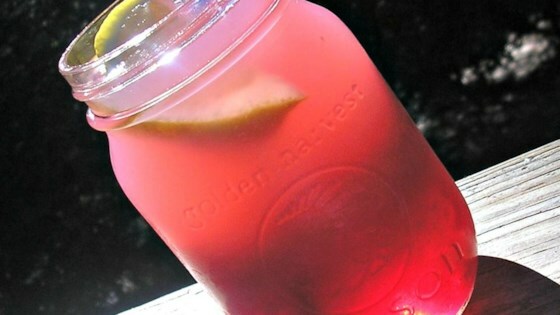 Combine vodka, cranberry juice, and grapefruit juice in a highball glass and stir to combine. Add ice. "Invented in Hawaii in the 1950s, the Blue Hawaiian will have you crooning like Elvis." 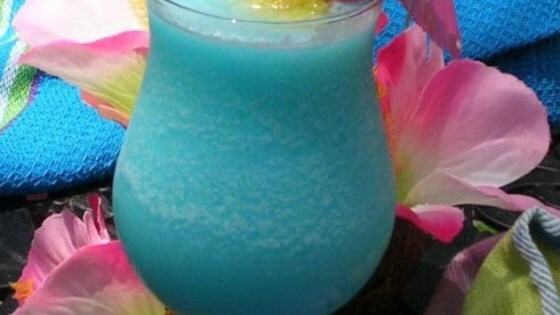 Combine rum, blue Curacao, pineapple juice, cream of coconut, and 1 cup crushed ice in blender. Puree on high speed until smooth. Pour into chilled highball glass. "A variation of the Cape Codder, the Baybreeze is as refreshing as any adult beverage this side of the mojito." 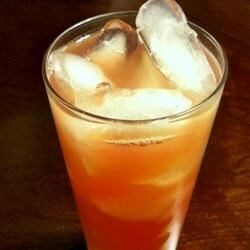 Combine ice, cranberry juice, pineapple juice, and vodka in a highball glass. 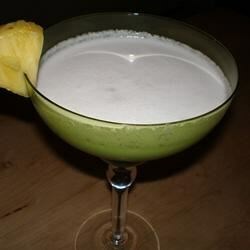 "The real Pina Colada was invented in the Hotel Caribe Hilton in Puerto Rico during the decade of the 1950's. The inventor was a bartender who entered a world competition, and won for this drink. He did not patent the recipe for which reason I am able to make some modifications for your delight." In a blender, combine coconut cream, half-and-half, pineapple juice and rum. While blending, add ice a little at a time, until mixture is thick. Pour into 4 highball glasses, and garnish with cherries. "This recipe is excellent for very hot days!" Wash lemon very well and cut into fine slices. Put in a gallon jar with sugar. Mince pineapple and put in jar. Pour in wine and soda. Mix with a spoon and refrigerate for 2 hours. 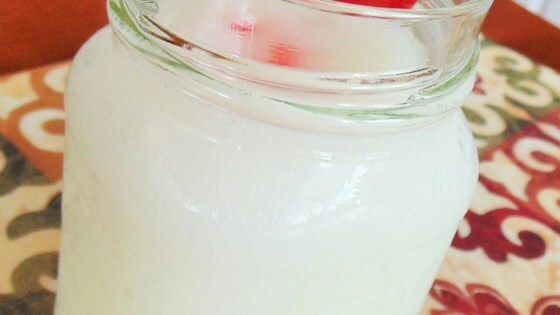 "A simple run-of-the-mill pina colada drink." In a blender, combine coconut milk, pineapple juice, rum, sugar and ice. Blend until smooth. Pour into glasses, and serve immediately. Fill blender 3/4 with ice (small cubes best). Add a small splash of vodka, a small splash of Grand Marnier. Add Kahlua & Amarreto. Fill the blender with Bailey's until liquid is 1/2 inch from top of ice cubes.Mix until smooth. Pour in hurricane glass and sprinkle some nutmeg on top! We were at Paradise Point in Oct. on the Caribbean Princess, the Bushwackers were great. If this attachment works it is the recipe that they have at the bar. Blend with ice and top with nutmeg. 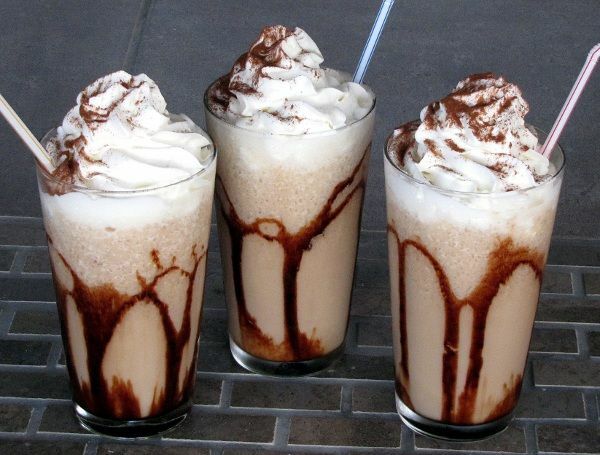 We usually put an extra shot of kahlua & baileys for an extra kick! enjoy! Combine all ingredients. Blend until smooth. Garnish with chocolate shavings or Hershey Chocolate syrup if desired.